Nikon has updated Capture NX to version 2.2.3, which adds support for the D3s RAW files, fixes glitches for embedded GPS information and other minor fixes. You can download the latest version on Nikon’s website. The above videos from Vincent Munier and Bill Frakes, respectively, appear to be the current golden showcase from Nikon for the low light performance of the new D3s. The Nikon D3s may be announced on October 14. Apparently, there is a Nikon press event set for that date and all signs point to a D3s, which is consistent with previous rumors. The Nikon D3 is out of stock just about everywhere. Rumored specs include a frame rate of 14 fps and 1080p HD video capture, as well as a sensitivity range of ISO 200-12800 (expandable up to ISO 102,400 equivalent) on a tweaked 12.1 mp FX sensor. The rumored release date is next Wednesday folks. Stay tuned to see what, if anything, Nikon has in store for us. Nikon D3s – A Sure Thing for October? Consistent with the previous rumors that a Nikon D3 replacement, the Nikon D3s, is coming in October, Nikon Rumors is calling the D3s a sure thing for roughly October 15, 2009. The rumored spec list continues to call for 14 frames per second and 1080p video capture. Additional rumored specs surfacing from Nikon Rumors today include a sensitivity range of ISO 200-12800 (expandable up to ISO 102,400 equivalent) on a tweaked 12.1 mp FX sensor. Let us know what you’ve seen or heard through the contact form. The Nikon D3S is a flagship follow-up to the Nikon D3. The D3S features a 12.1-megapixel sensor (as did the Nikon D3) but extends sensitivity up to ISO 102,400 and adds HD video capture in 720p resolution at 24 fps. MELVILLE, N.Y. (Oct. 14, 2009) – Today, Nikon Inc. announced the FX-format D3S D-SLR, providing professional photographers with a powerful tool that redefines the boundaries of digital SLR versatility, while maintaining the strength of superior image quality and high speed performance inherited from the groundbreaking D3. The D3S enables not only new opportunities in low-light photography, but also provides photographers with added shutter speed and aperture freedom with a base ISO sensitivity range from ISO 200 to a remarkable 12,800. Additionally, expanded ISO equivalent settings up to a staggering 102,400 are available, enabling photographers to create images previously thought impossible. The Nikon D3S builds upon the success of the Nikon D3—the professional digital SLR that set new standards for D-SLR performance and utilizes a newly designed, Nikon original 12.1-megapixel FX-format CMOS sensor that also integrates its amazing low-light ability to High Definition (HD) video, creating a uniquely capable multi-media tool to meet the needs of a changing imaging landscape. The Nikon D3s, with a base ISO sensitivity from ISO 200 to 12,800 makes it possible to capture previously impossible images—image opportunities which were often ignored because of low light levels. Now, in even more demanding lighting conditions, photographers can select expanded sensitivity settings of ISO equivalent 25,600, ISO equivalent 51,200 and an incredible ISO equivalent sensitivity of 102,400 which reveals detail in extreme low-light environments that challenge even the human eye’s ability to discern subject content. In addition, a setting of ISO equivalent 100 is provided. This industry-first, groundbreaking ISO sensitivity range will make the D3S the camera of choice for photographers who typically face extreme lighting challenges, such as indoor or nighttime sports, spot news, wedding receptions and ambitious nature photography. This broad ISO sensitivity also affords the ability to shoot at faster, action-stopping shutter speeds. D3S shooters will enjoy a major advantage in any situation where light is limited and the use of supplemental lighting is not an option. For the photojournalist, even the highest ISO setting delivers image quality to satisfy the needs of offset printing. The amazing low-light ability of the D3S, as well as its astounding image quality can be attributed in large part to the engineering behind the newly designed, Nikon original 12.1-megapixel FX-format CMOS sensor, which measures 36×23.9mm. While the pixel size and count that served the D3 were maintained to deliver the pinnacle of image quality, dynamic range, phenomenal tonal gradation and outstanding color, other aspects were engineered to add versatility through broader low-noise ISO sensitivity. Individual pixels measure a large 8.45 microns, which support enhanced sensitivity to light and other qualities leading to superior image fidelity. The D3S captures light and renders images in a way that no other Nikon camera has yet to achieve, with a higher signal-to-noise ratio and an unmatched dynamic range for both stills and HD video throughout its broadened ISO range. The Nikon D3S adds the extra benefit of an Image Sensor Cleaning function to reduce instances of image degradation resulting from dust accumulation on the optical low pass filter (OLPF) in front of the image sensor. The OLPF oscillates at four specific frequencies to release particles that would disrupt image quality. Sensor Cleaning can be set by the user to cycle automatically when the camera is powered on, turned off, or on demand. Whether on the frontlines or sidelines, the amazing ISO range of the D3S can also be applied while recording HD video clips to give unprecedented low-light ability for movie clips. The refined D-Movie mode for the FX-format offers smooth 1280×720 video at a cinematic 24fps, with a new algorithm that severely reduces the phenomenon of “rolling shutter” typical to D-SLRs while panning. The motion JPEG codec allows for easy extraction of single frames from a video clip and the ability to save it as a JPEG file, while the 720p HD format eases storage, provides faster wireless transfers, and offers video files that are generally easier to use in the field. Photographers can also trim movie clips on the fly by revising the start and end points, and save the edited clip as a copy while maintaining the original. Additionally, the D3S features a built-in monaural microphone, augmented by a stereo microphone input, which is perfect for hot-shoe microphone mounting or the use of wireless microphones for interviews or spot news. Photographers and film makers alike will appreciate the full aperture control from a wide f/1.4 to f/16, as the FX-format sensor renders low-noise movie clips with outstanding clarity, aided by the large selection of renowned NIKKOR lenses to produce a dramatic depth of field. High Sensitivity Movie Mode allows the utilization of the entire ISO range to capture otherwise hidden details in challenging lighting conditions, more effectively than cameras with smaller sensors. Now, users can benefit from available natural light for applications such as telling a story in a journalistic style in the field or to create a gritty film noir masterpiece without CGI post production. While recording, users also have the ability to control exposure, and will enjoy the added benefits of improved contrast-detect type AF while in Tripod Live View mode. The emergence of the D3 in 2007 provided photographers with a unique fusion of ruggedness, speed, versatility and image quality—characteristics which the D3S now takes even further. Photographers are able to capture images at 9 frames per second (fps) in the FX-format or at up to 11 fps in the DX crop mode, while data is transferred through a 16-bit pipeline for optimal processing speed. Additionally, the buffer has been increased, enabling continuous bursts approximately twice that of the D3 in the JPEG, TIFF or NEF (RAW) formats. Files can also be captured in either 12- or 14-bit compressed or uncompressed formats to maintain the images data integrity. Photographers can also select the new 1.2x crop mode for a modest telephoto effect, while minimally impacting resolution, as photos are captured at approximately 8.4 megapixels (9 fps). The D3S also features two UDMA compatible CompactFlash™ card slots that can be used for consecutive recording (overflow), simultaneous recording (backup), separating recording of RAW and JPEG files or even copying pictures between the two cards. One or both can also be designated for data-heavy D-Movie recording. Images can be displayed directly from the camera to a High Definition monitor using the camera’s HDMI port and an optional cable. The D3S features Nikon’s exclusive Multi-CAM 3500FX focus module, with 51 AF points, 15 cross type sensors and 36 horizontal sensors that easily track and lock onto moving subjects, delivering the same fast and accurate AF performance that helped make the D3 immediately successful. Users can select any of the AF points, making it easy to consistently attain accurate focus, frame after frame. Additionally, three AF-area modes – Single point, Dynamic-area AF and Auto-area AF – are available to maximize the use of the 51 focus points by selecting the most suitable one to match subject conditions. AF is also available in one of two Live View modes, including a phase detection handheld mode and a tripod mode. While in Live View, the graphic indication of a virtual horizon is also available, making it easier than ever to confirm camera orientation. To alleviate another kind of noise, the D3S also features a Quiet Shutter Mode which substantially reduces the sound of the camera’s mirror-down cycle, which is perfect for shooting in sensitive environments, such as movie sets, meetings, ceremonies, or while photographing wildlife. The D3S’ speed and performance is the culmination of many Nikon core technologies including the latest generation of the EXPEED™ Image Processing System. The latest iteration of this system is specially designed to keep pace with the D3S’ blazing performance to provide amazing image quality, faster processing speeds and lower power consumption. This advanced system is able to achieve extremely precise color reproduction for a broad spectrum of hues, in addition to vivid saturation and smooth gradation. Nikon’s advanced noise processing function is engineered to minimize noise at all sensitivities and operate seamlessly without interfering with other image color parameters. The D3S’ accelerated Scene Recognition System analyzes information from the 1,005-pixel RGB light sensor for use in auto exposure, auto white balance detection and autofocus calculations. The Scene Recognition System also assists autofocus by tracking subject position and automatically shifts the AF points used to match the subject’s movement within the frame. Nikon’s exclusive 3D Color Matrix Metering II assists in ensuring accurate exposures, even in the most challenging lighting conditions. Instantly evaluating each scene before capture, input data from the system’s sensor is automatically referenced against an internal database of more than 30,000 images derived from actual photographs to calculate correct exposure values. Active D-Lighting (ADL), used in combination with 3D Matrix Metering II, helps to determine proper exposure, and creates realistic contrast while compensating for lost shadows and highlights. Photographers can also use ADL bracketing for up to five frames of ADL compensation. To further enhance each photographer’s expression of personal style, Nikon’s Picture Control System allows selection of Picture Control settings including Standard, Neutral, Vivid and Monochrome. Additionally, adjustment can be made to Picture Controls to image sharpening, contrast, brightness, saturation, hue and more. Photographers then have the flexibility to save up to nine personalized Picture Controls on camera and 99 additional Picture Controls externally. Engineered for real-world functionality, the D3S is ruggedly constructed with moisture, dust and shock resistance that has become a hallmark of flagship Nikon D-SLRs, while preserving the usability and ergonomics that allow the camera to remain an extension of the photographer’s vision. Attention to detail goes so far as to include a self-diagnostic shutter system that is tested to 300,000 cycles for maximum accuracy and longevity. Rigid and precise magnesium alloy construction and the familiar form factor of the D3 extend consistent Nikon system synergy. A bright and accurate viewfinder provides 100-percent coverage with 0.7x magnification. The body also houses Nikon’s acclaimed 921,000-dot, 3.0-inch super density LCD monitor which is viewable up to 170 degrees, and is safeguarded by a tempered glass cover. Thanks to incredibly efficient internal circuitry, the D3S can capture up to 4200* shots per single charge of the camera’s Lithium-ion battery. The D3S is fully compatible with Nikon’s Creative Lighting System (CLS) affording photographers a mobile lighting solution that is easy to manage. D3S is also compatible with Nikon’s GP-1 GPS receiver to gather information such as latitude, longitude, altitude and (satellite) date of shooting. Photographers can shoot tethered via USB, or use the WT-4A wireless transmitter to send images wirelessly when speed and mobility are essential. D3S users will also enjoy the system strength bolstered by a comprehensive selection of NIKKOR interchangeable lenses—long heralded for their optical superiority. The Nikon D3S digital SLR is scheduled to be available at Nikon Authorized dealers beginning in late November 2009 at an estimated selling price of $5,199.95**. For more information, please visit www.nikonusa.com. Users can see the new D3S, along with Nikon’s entire line of photographic, optical and digital imaging solutions, including the recently announced new AF-S DX Micro NIKKOR 85mm f/3.5G ED VR lens, on display at the Nikon booth (#501) at the PhotoPlus Expo in New York, from Oct. 22 to Oct. 24, 2009. Kamera & Bild passed along that Nikon has a couple of press conferences set for July 30 and August 4. K&B further alludes to the announcements of, not one, but two new DSLRs from Nikon. 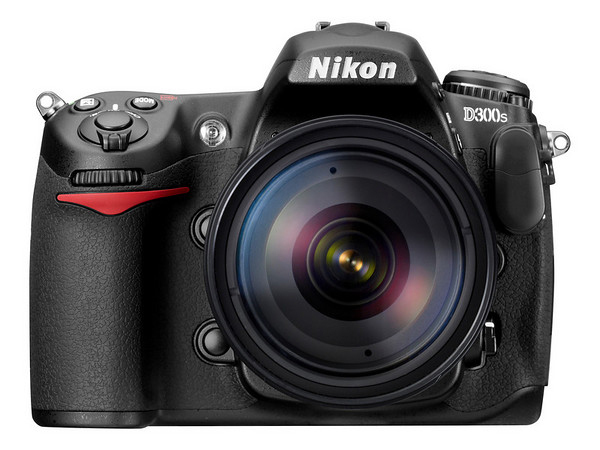 We know that rumors of a Nikon D300s have been running rampant lately, so there’s one. What’s the other? Some say a Nikon D4000 is in the works to replace the D60, as a non-video DSLR. Other rumors suggest a D4 or D3s (or some other refreshed version of the D3). Both rumors make a little sense. Another possible explanation for the two dates would be a release of a plethora of point and shoot cameras, which seems to happen twice a year, at the first press conference. All the while, the second press conference is for the Nikon D300s and maybe a handful of lenses. One thing’s for sure . . . expect plenty of leaks and more rumors between now and July 30. Anyone else have word on what, when and where? Nikon D3 Replacement in 2009? Granted, this would be rather odd timing to release a replacement for the Nikon D3 professional grade DSLR; however, Photo Rumors has info they’re calling reliable that such a replacement will be announced this Fall. The tipster says that the D3 replacement will maintain the 12.3 megapixel sensor found in the current D3, but points to the addition of a dust removal system. I would hope that any replacement to this $4k camera would have more upgrades than a dust removal system. If there is credence to this rumor, I wouldn’t be surprised to see a feature set matched to the Nikon D300s, which purportedly will feature HD video capture. A refresh of the feature set would make more sense than the full replacement of a pro-level camera that’s 2 years into its product cycle.